As a digital marketing agency, we are highly focused on identifying strategies and tactics that will work to drive further engagement and conversion online. We love digital because of the high level of “measurability” we have when it comes to monitoring the tactics that we deploy. However, we also know that most businesses rely to some degree on their offline footprint to drive ongoing engagement beyond the typical digital channels like search, email, and social media. That’s where offline to online ad targeting comes in handy. These business that drive branding and sales through offline marketing efforts can often have a difficult time with measuring performance of those offline campaigns. And the measurability of the offline campaigns can pale in comparison to the level of detail you can get with digital campaigns. In this post, I’ll run through a few ways that we can help you to better integrate your offline marketing strategy to boost online ad targeting. If it is not a tactic that STARTS with an online channel, it can be considered an offline marketing strategy. With that basic definition, let’s take a look at four ways to integrate offline marketing to online ad targeting. Direct mail has been a cornerstone of marketing for many years, and it continues to be a mainstay for many marketing strategies. Developing an integrated marketing strategy that is built around direct mail and email is a very simple first step in merging your online and offline efforts. Taking it a step further, you could also use your mail lists (both direct and email) to create a targeted audience for future ad campaigns. To do so, first you start with your list of contacts that you want to connect with. For this campaign example, you would pull this list from your CRM or marketing automation platform. We will assume you have a clean list. With these lists, you can start planning your ad campaign around the messaging of your campaign. For simplicity, let’s assume you are planning for a holiday shopping push. The first step in your campaign is the direct mail piece. You will send this out to kick off the campaign. You should use a unique short URL or personalized URL (PURL) that you can track. Let’s say your campaign is offering your existing customers 20% off their purchase over the upcoming weekend, so you use a URL like myshop.com/get20off. This vanity URL would redirect to the final destination with an appended UTM campaign parameter—assuming your analytics platform is Google Analytics. In addition to this short URL on the mail piece, you also have built out custom audiences using the same list you have used for your direct mail drop. You have these audiences set up for Google AdWords, Facebook, and Bing. Using these target custom audiences, you create unique ads specific to these users that will trigger ads (text ads, banners, etc.). One week later, you follow up with an email with the same offer, or a new offer. Again, you will still have the custom audience campaigns running and will simply switch up the messaging as necessary. Billboard advertising may not be something you typically think of as driving online behaviors; however, I have seen a few examples that have challenged this thinking for myself. During my commute, I often find myself driving past a billboard for Central Bank of the Midwest that’s talking about “checknology.” This is obviously a made-up word, but I will admit it has driven me to do a search for “checknology” when I got to work to see what it means. This billboard has accomplished, at least for me, an online mechanism for engagement. It is their brand message, and it is creating a story online using this made-up term. They have focused their SEO strategy in part around this new term, which they are pushing through traditional offline marketing. To take this a step further and create an opportunity to drive online ad targeting, they could add a focused CTA that directs people to their website. This should be a memorable/short link that fires a full URL with campaign tracking parameters. If you are able to identify within a CRM or marketing automation platform where customers came from, you can build segmented lists that you can use for promotions across multiple channels! Radio – traditional radio, not online radio like Pandora or Shopify – still has a very good reach in terms of ears you can reach during a typical commute. I’m a sports radio listener, and I hear a pretty steady stream of contextual ads as well as targeted ads when I tune in for my short drive to/from work. If you keep it simple, you can create a very simple digital experience that is driven by the offline radio content. If radio is a channel that works for you, you should make sure you are effectively tracking this traffic source and identifying/segmenting conversions based on this traffic. 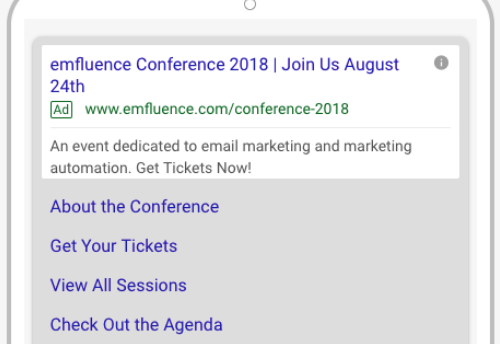 If you are using the emfluence Marketing Platform, create a landing page specific to your radio ads (or even create a unique landing page for each radio station you are advertising on). Create a simple short link or vanity URL (i.e. emfluence.com/610sports) that sends listeners straight to your landing page. Take all of the conversions from that form and put them into a segment within your list and create an automated email campaign for that target segment. If you want to kick it up a notch, you can also use these segments to create a target audience list based on those who have converted on your custom landing page. This may initially be a small number, which will not be useful for ad targeting. 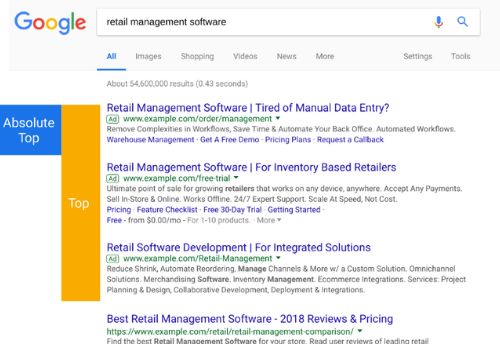 To supplement, you could also implement a remarketing pixel for Google, Facebook, LinkedIn, or whatever channel makes the most sense for you. Your pixel would be set for all visitors that visited that specific custom landing page. This will allow you to create ad campaigns targeting those visitors that did not convert in addition to those that did. Having a giveaway at a tradeshow is a great way to generate names in a list and to capture attention at the event. The more unique or valuable the giveaway, the more likely you will be to capture names. 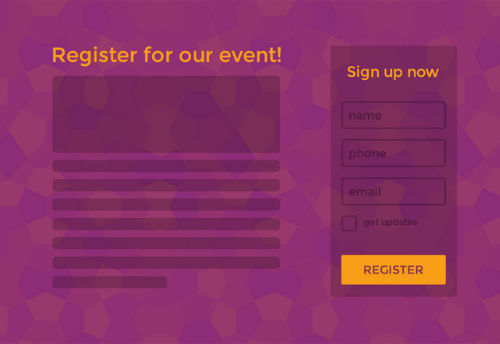 If your marketing automation platform allows it, set the lead capture form to only allow people to use their business email address to sign up for the raffle (this makes the lead more valuable than someone entering the Gmail account). To keep it quick, build a simple form and bring a few iPads/tablets to allow your booth visitors to quickly and easily sign up for the raffle. This form, connected to your marketing automation and CRM, will create a new segmented list, which you can use to start building out additional ad campaigns and email strategies. Pro tip, however: do not opt-in people to your newsletters unless they check the box to be added. This will improve overall engagement in the long run. Brochures and sell sheets are always valuable to keep around at your booth for those people that don’t want to fully engage with you. Some people are there to simply look around, so offering something simple is a good strategy. To integrate these to your online tradeshow strategy, have a short URL on these printoffs that will give them an opportunity to go fill in their info on their own time when they are ready. As always, make sure this short vanity URL is tagged with a UTM parameter. Promoting your presence at a tradeshow using online channels is also something you should consider doing, particularly if you are putting a lot of effort into your tradeshow strategy. Many B2B businesses rely on tradeshows as a major source of qualified lead generation, so thinking about a long-term, repeatable process for your tradeshows could be very valuable for your business. Build out an integrated campaign using search and social (LinkedIn and Twitter…and possibly Facebook) to drive engagement and lead generation. Find a creative way to capture lead info leading up to the event (offer private demos, one-on-one meetings, pre-entry for raffles, etc.). Then use the list you are building to create customized automated ads. Start with a target list. This list will be important for all your ad targeting. Create custom landing pages. Use vanity URLs with tracking parameters for attribution in analytics. Upload lists to all ad channels you would like to use. Google, Bing, Facebook, Twitter, and LinkedIn (and other channels) all have the functionality to build these custom audience based on lists. Implement remarketing pixels for all applicable channels to expand existing targeted lists. Create targeted ads based on the offline messaging to encourage further engagement. Develop integrated automated email campaigns to further align offline and online strategies.